We all feel great having a new president. The conversations about the recent elections are perfect with a great cup of coffee. From the first brand that gave us Great Taste White comes a new perspective of viewing the beauty of mornings with their new endorser, one of the greatest actor of his generation, John Lloyd Cruz. 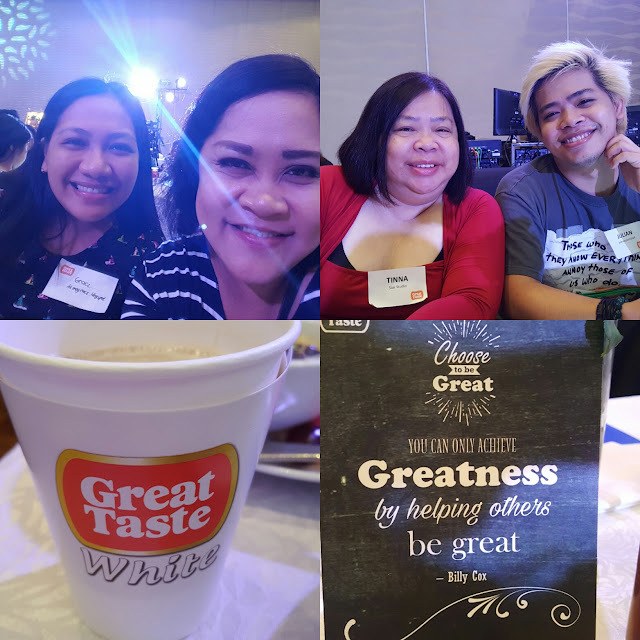 We joined the media witnessing the launch of Great Taste White Coffee's newest brand ambassador at Crowne Plaza Galleria today. Now with more variants of Great Taste White 3-in-1, Smooth and Caramelly, Smooth and Chocolatey, Sugarfree and Smooth and Creamy, Great Taste White continues to improve its brand to suit the preferences of coffee-lovers all over the country. John Lloyd drinks about a cup or two of Great Taste White and just like the rest of us, it's the first thing we all do in the morning. John Lloyd with Universal Robina Corporation executives and Gelly Victor expressed their great optimism about the new set of administration after the elections. 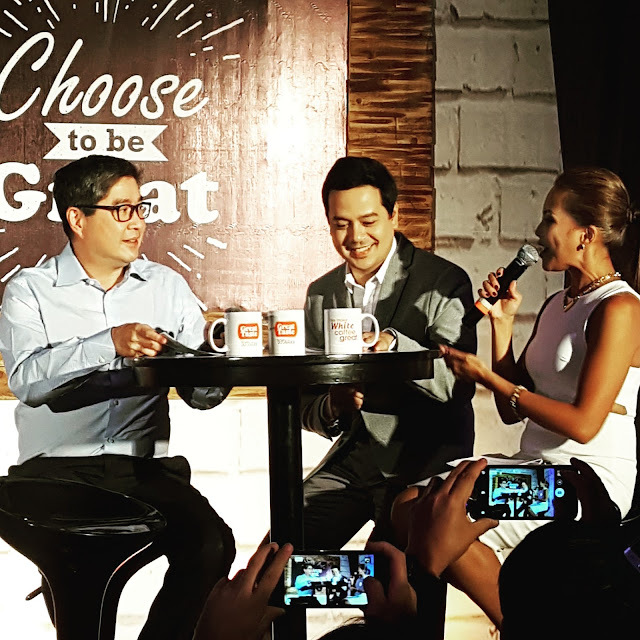 For JLC, he does not believe that he is great but to be considered one for him is an honor. This reminded me of my fellow co-teachers who shared Great Taste White with me last year. They all love the Smooth and Creamy variant and it had been our brand of coffee in the faculty room for a long time now. 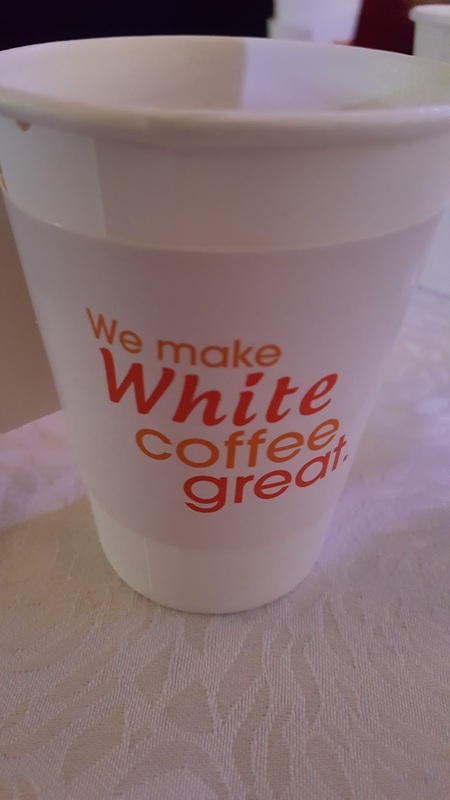 Despite our differences, we all share a common favorite in coffee- Great Taste White. While the country is still at everyone's neck arguing who should lead the VP, we all feel great about our new President and Great Taste White's new celebrity ambassador, John Lloyd Cruz. The TVC of JLC as the Great Taste White is worth-sharing. 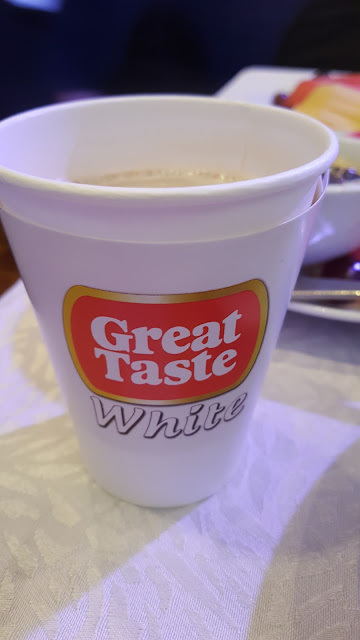 Thank you for the great day Great Taste White. May our intentions be always great, with taste and pure (white) .